ONLY FOR HIM by Cristin Harber is available today! You do not want to miss volume 1 of Grayson and Emma's epic love story! Join Cristin Harber, K.A. 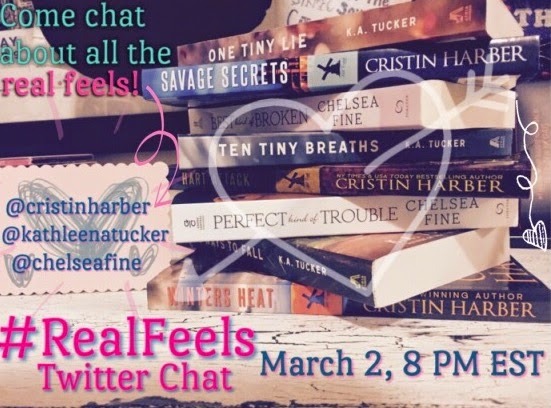 Tucker, and Chelsea Fine on Twitter March 2nd at 8pm EST & chat about all of the #RealFeels!